This entry was posted on December 7, 2014 at 3:46 pm and is filed under Art and War. You can subscribe via RSS 2.0 feed to this post's comments. I’m not sure there is any need to identify story-truth when we encounter it. And I don’t know that we should ever collectively distinguish between story-truth and happening-truth. 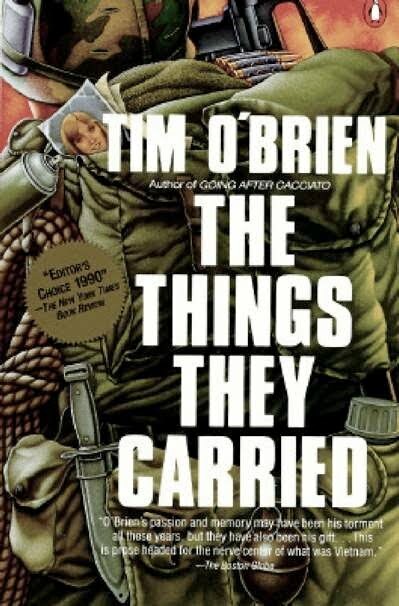 O’Brien raises one above the other, but he also scoffs at any attempt to identify which is which or to rely on that status for epistomological supremacy (I’m thinking of the scene in which his daughter asks if he killed anyone in the war, page 172). It is hard to admit that it doesn’t necessarily require experience to achieve credibility in art, especially when war and dead soldiers are concerned. But perhaps, once we admit that such a novel is possible and can be equally effective and whatnot, or contemporary war lit can advance beyond reportage and memorialization. Dave, thanks. Maybe worse than an excess of military detail is a military detail gotten wrong. Non-vet authors use vets to “glitch-proof” their stories to ensure technical accuracy. And I’ve been told by several authors that realistic detail in their stories about combat, military ceremonies, and other aspects of service life came from close watching of YouTube videos. I think subject matter experts (of any subject) and their nit-picking of meaningless details hurt any reception of art. In war lit’s case, I think it even creates an anxiety in the non-vet-author and keeps some good art from being written. As you point out, civilians like Katey Schultz used Youtube to verify details. It worked. Her stories resonate way more than many others that are chock full of slang and whatnot. Just because the “migs” at the end of Top Gun were really F-5s didn’t stop me from watching that movie a few dozen times. Agreed. I read Pat Barker’s Regeneration recently–about World War I–and I noted how stripped of insider lingo were its descriptions of battle. Makes me want to go back and read The Red Badge of Courage to see how Stephen Crane handled such things.